Powered by a 1.3-liter rotary Wenkel engine backed by a 5-speed manual transmission, this right-hand-drive 1992 RX7 Type R was imported into the U.S. from Japan with just over 5,000 actual miles (the title reads mileage exempt). It was then sent to Pettit Racing for a once-over; the tires were replaced, boost and tune adjusted, and the rear end was swapped for a new LSD unit. 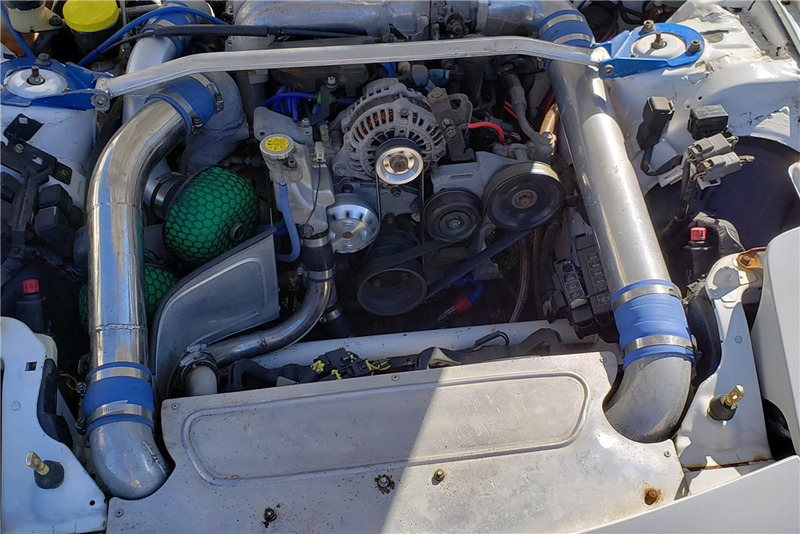 The engine is in good running condition with an aftermarket radiator setup. Power is amplified by a twin-turbo setup. The air conditioning compressor has been removed, all in the pursuit of performance. The tune has been massaged by Pettit Racing. The slick-shifting 5-speed transfers the power to the LSD rear. All four corners have aftermarket suspension and the brakes are strong. 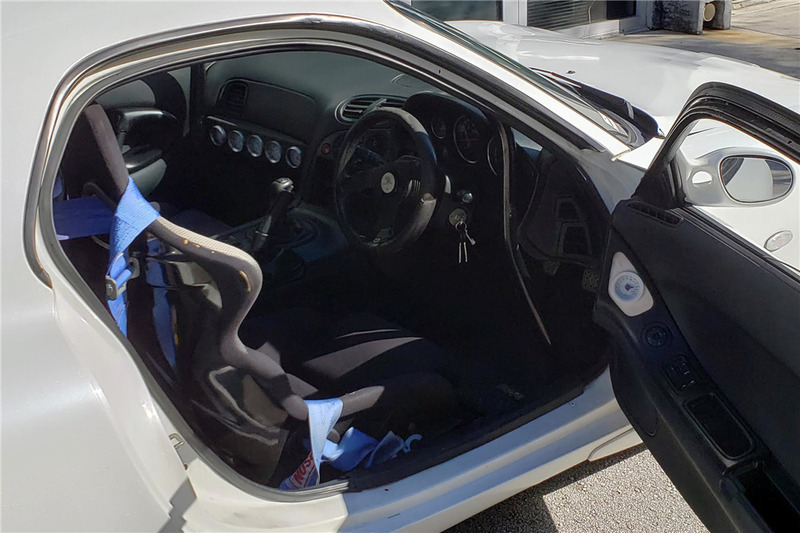 Inside the car, performance upgrades include a safety cage in bright blue, aftermarket driver's seat and Simpson racing harness. The original seatbelt still exists for the driver. The battery has been relocated to the rear hatch in a battery box. The front bumper has been replaced with one that allows more air into the intercooler and radiator. The side skirts tie in nicely to the car and the rear has a decklid spoiler. All four corners wear aftermarket wheels shod in brand-new tires.